Stanton was the first recipient of the Historical Sign Project by the 2007-2008 Haywood County – Brownsville Leadership Class. The project combined efforts with the Haywood County Historical Society to assist area communities in erecting historical signs. 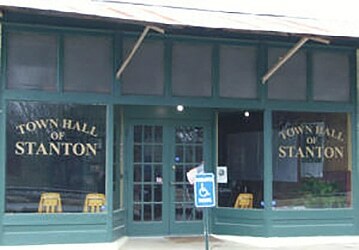 The Stanton sign was placed at the new Stanton Welcome Center/Library in downtown Stanton. 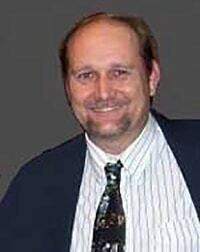 The Town of Stanton began with the coming of the Memphis & Ohio Railroad to the Stanton Depot in the 1830s on what had previously been Chickasaw land, but was then owned by Joseph Stanton. The Town of Stanton originally had its first charter in the 1880s but the charter was soon abolished. Stanton received a new charter in 1927 and is mostly a farming community today with a population of about 600 people. The original town that became Stanton was called Wesley, and was located 4 miles west of the current Town of Stanton. When Joseph Blackwell Stanton moved to this area, although he also owned land in Wesley, he negotiated for the emergence of the Memphis & Ohio Railroad on Stanton property where the town of Stanton now stands. The result was Stanton’s Depot, which began the movement of businesses from Wesley to Stanton. The school, businesses, and churches in the village of Wesley moved to Stanton Depot, Tennessee, in 1856, turning the once thriving Wesley into a ghost town. 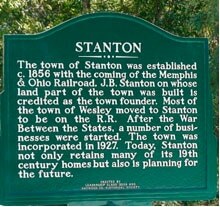 The town of Stanton is named for Joseph Blackwell Stanton who moved to Stanton’s present location in the 1830s with his wife Lucy and their only child, Grace, who married Nathan Adams, a stockholder in the Nashville & Memphis Railroad. The Stanton Welcome Center/Library operates as a multipurpose center while serving as an anchor for the Town of Stanton. 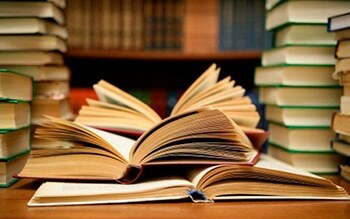 The Center houses not only a Lending Library, but also serves as an archive for history and memorabilia for the Town of Stanton, family histories of Stantonians, and digitizes historical photos and stories. The Center collects videos, oral and written recollections from residents and former residents, and offers a place for residents to receive assistance with genealogical services. Locations of old forgotten cemeteries are recorded using GPS data with the Tennessee Department of Archeology. The Center also functions as a marketing base for Stanton and its proximity to the Megasite. Last but not least, the Center hosts educational and social events for our youth and senior citizens. The Center has become home to all types of educational programs, including computer classes (focusing on skills necessary for our residents to obtain better employment), tutoring and GED classes through the Haywood County Adult Education Program. Young people visit the Center after school to make use of our computers for their homework, and some of our senior citizens are trying their hand at the computer during the day. The Directors, Emma Delk and Debbie Sterbinsky, each serve on boards in Haywood County including the Community Awareness Board (CAB) and the Brownsville/Haywood County Chamber of Commerce. The Stanton Welcome Center/Library serves as an outreach for these organizations and the services they provide to all residents of Haywood County. We appreciate Haywood County providing much needed financial assistance helping the Center embark on this endeavor. Our Center may be small in size, but you’ll always find a smiling face as we help residents remember the past and prepare themselves for a better tomorrow. Dr. C. R. White and Associates Dental Center in Stanton provides comprehensive family dental services along with some cosmetic services. To decrease anxiety, the center offers Nitrous Oxide gas and quality dentistry in a relaxing atmosphere for people from all walks of life and backgrounds. Their focus is to offer “Good Dentistry” throughout a lifetime. For more information, call 731-548-2400. 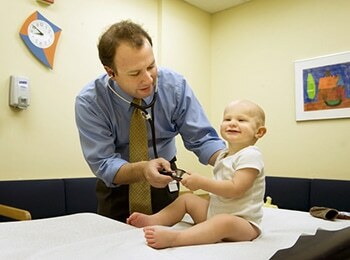 The Stanton Health Center can handle primary health care for people of all ages five days a week. Karen Salvaggio, an Advanced Nurse Practitioner, and her staff offer cancer prevention and early detection, immunizations for children, office visits for cold, flu, allergies, infections, bronchitis, pap smears and other women’s services, physicals for employment or annual, and vaccinations for flu, pneumonia, hepatitis and tetanus. They have special treatment for chronic diseases such as asthma, diabetes, heart disease and hypertension, plus they offer well-child Checkups and Early Periodic Screening Diagnosis/treatments (EPSDT). 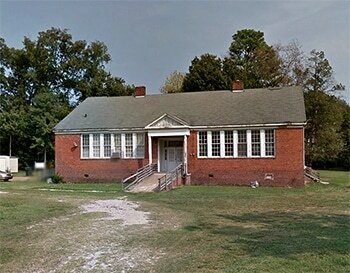 The Stanton Head Start Center is located at 5 Lafayette Street in Stanton, Tenn. You can register your 3- and 4-year old children to attend the Southwest Human Resource Agency Head Start Program at the Stanton Head Start Center. Staff members are: Mrs. Linda Washington, instructor; Mrs. Shirley Kee, assistant instructor; and the cook is Mrs. Rosa Canery. The Head Start program prepares children for kindergarten in the public school system. Children from low-income families are eligible and encouraged to enroll. There is no fee for Head Start services and participation in the program for the children of families who qualify. Parents must provide name, birth date, child’s TENNCARE number and type, Social Security numbers for all family members and food stamp case numbers if it applies. Parents must also have a copy of the child’s immunization record form the local health department or the child’s physician. 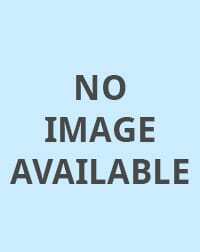 Family income must be verified by W-2 form, income tax form 1040, pay stub, AFDC verification, etc. You may also contact Gwendylon Clark, Family Case Manager, at 731-548-2275 or 731-772-0526 for more information. In 1970, in the small West Tennessee town of Stanton, a young couple committed their lives to serving God. Royce began playing lead (a Sears and Roebuck guitar) for his cousins, the Finchers from Frog Jump, Tennessee. Linda was singing with her sister, Gussie Hughes, and Sarah Kee in a female trio from Crockett County, Tennessee. Their twin daughters, Darla and Debra started singing an occasional song when the trio sang and also when they would go with The Finchers. Royce and Linda then ventured out on their own as “The Barnett Family,” which includes their daughters and their families. Royce plays lead guitar, harmonicas, fiddle, banjo and sings. 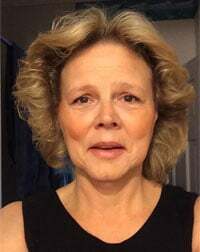 Linda plays the piano, sings and takes care of the scheduling and bookkeeping. Darla plays the bass and piano and sings. Jesse and Taylor play the rhythm guitars and sing. Deb plays the piano and sings. Tracy plays the bass and sings, and Greg plays the drums and has played them full time for the group since he was five years old. Katie sings and she also sings with Taylor and Greg to form the third generation of Barnetts. Royce and Linda received the James Blackwood Lifetime Acheivement Award in 2000. They also celebrated their 50th Wedding Anniversary May 11, 2007. 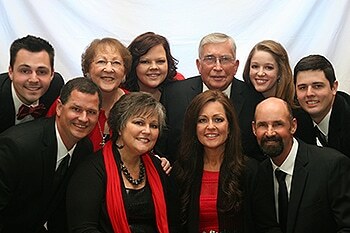 Stanton is proud to call the Barnett family one of its own. 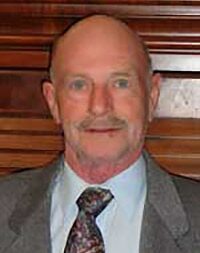 Royce has also served as the Mayor for Stanton and Linda as the Town Recorder. They truly bless the Town of Stanton just as they bless anyone who hears them perform. 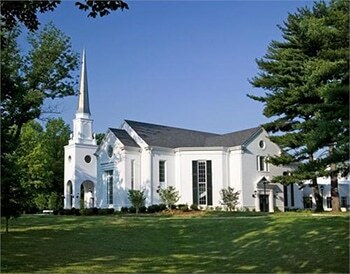 The Stanton Presbyterian Church was built in 1870 by the Presbyterian Church members of Wesley and Mason, with the remainder of funds given by Nathan and Grace Adams. Grace was the only daughter of Joseph and Lucy Stanton, founder of the town. Nathan brought the plans for this church from Scotland to be built here. The grave of the first minister, Reverend William Ingram is located behind the church, directly behind the pulpit. The mausoleum located on the church grounds is made of marble from Genoa, Italy. It was erected in 1872 by Nathan Adams for the Stanton family. The mausoleum was intended for the burial of the founder of Stanton, Joseph Stanton, his wife Lucy, their only daughter Grace along with her husband Nathan Adams. However Nathan and Grace are the only two burials in the mausoleum. This Gothic style church provides the perfect setting for a Victorian, Traditional or any Themed wedding. For rental information contact Debbie Sterbinsky, [email protected] or the Stanton Preservation Trust, P.O. Box 501, Stanton, TN 38069. 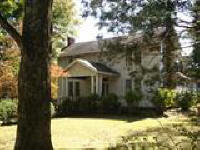 Tucker Place was built in 1830 by George W. Ware on a plantation in Haywood County near the town of Stanton. In 1885 it was sold to Joseph C. Tucker and is still owned and occupied by his descendants today. The Tucker Place came through the Civil War with one small bullet hole in one of the doors by a “Yankee” bullet. Charles Tucker, son of Joseph Tucker built this home in the 1890’s for his new bride Ella Browne Coppedge . Descendents of Ella Browne Coppedge Tucker owned the home until 2002 when it was sold. The current owners are restoring the home at this time. It was originally named “The Haven” but it more widely known as the Bickelhaupt house. According to “REMEMBRANCES OF STANTON, TENNESSEE” by Adams Colhoun, the home was erected by Lemuel Thomas by or before 1873. The home was a boarding house in the early 1900’s and Mr. L. E. Harris was one of the boarders, who eventually purchased the home. Nelle Harris, daughter of Mr.L.E. and Emma Harris, was the most recent owner of the home. Liberty Hall was built in 1873 by Henry Morton Nash and his wife Fannie Ware Nash. Henry Morton Nash held the rank of Captain in the Confederate Army. This two-story home was constructed of hand-hewn timber, using square nails. The weatherboarding was made of yellow poplar. 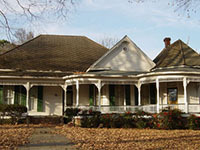 The home is currently occupied by a fifth generation descendant of the Nash family. The Crafton’s moved from Clarks Hill (Edgefield County), South Carolina to Haywood County Tennessee, in the early 1800s. 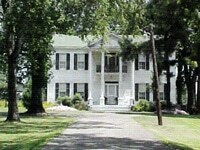 Joseph David Crafton built a cotton farm in Stanton, Tennessee, and completed his home, “Myrtle Hill” in 1872. “Myrtle Hill” was fully restored by Hugh Crafton and his father, Joe Crafton, Sr., from 2000 -2003. The farm has been owned and managed by the family for over 170 years. 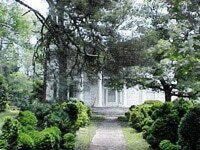 For more information about the Crafton home go to http://www.craftonhome.com/Home_Page.html. The Stanton Masonic Lodge was chartered about 1868 and this building was erected in 1871. 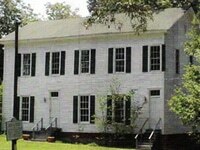 It is sometimes called the Old School House as it also served as a school building. The Stanton Cannery was opened in 1973 by the Chickasaw Area Development Commission. Richard Turner has operated the Cannery since it opened, training in Milledgeville as early as 1971. He still runs the Cannery today. The Cannery originally opened to encourage low income families to raise gardens and can their excess produce for later consumption. It was an effort to stretch the benefits of food stamps. When the Cannery first opened it was open for only 9 months of the year, but after 1975, it was open year-round. The Chickasaw Area Development Commission opened five more canneries in 1975, one each in five surrounding counties. 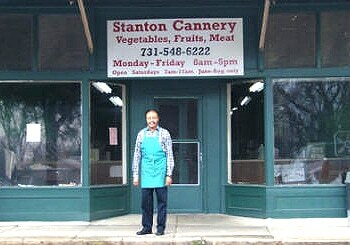 The Stanton Cannery serviced the public free of charge from the time it opened in March 1973 until Oct 1979. In 1979, the CADC decided that if they were to keep the Stanton Cannery open, they would have to limit its free use to only low income people. Shortly thereafter Haywood County took over the operation of the Cannery and the services were available to anyone. The charge for using the Cannery was set at $2 per item (an item being each type of vegetable, fruit or meat.) Those prices are still in effect today. During an average season, Richard cans about 23,000 quarts of vegetables, grinds about 9,000 lbs of sausage, 3,000 lbs of deer burger, and (between 1975-1998), made about 150 gallons of hog lard per season. There is not as much demand now for hog lard as there once was. On average, 425 families use the Cannery per year. These customers come from six surrounding counties: Haywood, Tipton, Fayette, Hardeman, Madison and Crockett. Canning season for vegetables starts in May and lasts until November. Meat season runs from mid November to the end of February. To Richard’s knowledge, the Stanton Cannery is the only cannery that has survived of the six originally opened by the CADC in West Tennessee. On August 18, 2007, Richard Turner, the man dedicated to running the Stanton Cannery since it opened in 1973, was honored with a certificate of Congressional Recognition from the office of Congressman John Tanner. The office of Representative Jimmy Naifeh also honored Richard with a Certificate of Congratulations for his loyal and diligent service to the Stanton Cannery.